Born in Galashiels, the son of a photographer. He studied at Galashiels Mechanics Institute, 1896, GSA , 1899-1901, Kennington School of Art and the RA Schools, 1904-05, where he was a student assistant to Sir William Goscombe John. After completing his studies in Paris and Rome on a travelling scholarship, he returned to London and set up studios at Chelsea and St. John's Wood. He later received commissions for the Mungo Park and Flodden memorials at Selkirk (1913), and statuary on the National Museum of Wales, Cardiff (1914-37). After serving in India during World War I, he produced the war memorials at Canonbie (1919); Earlston; Minto (1921-5); Galashiels (1923-7); and Selkirk (1922). His other public monuments in the Borders include the memorial plaque to the poet James Brown, Selkirk (1931); the Sir Walter Scott Memorial, Galashiels (1932); and the James Guthrie Memorial, Hawick, which commemorates a motorcyclist killed in the German Grand Prix (1937). In 1926, he collaborated with the former assistant to Albert Hodge , C L J Doman (1884-1944), on a colossal, figurative frieze representing Britannia with the Wealth of East and West for Liberty's department store in Regent Street, London. Clapperton's best known work in Scotland is the statue of Robert the Bruce at the entrance to Edinburgh Castle (1929). 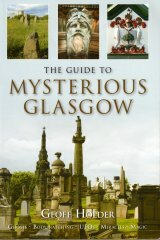 His work in Glasgow is represented by two statues which have aquired affectionate nicknames - the bronze statue of Learning on the dome of the Mitchell Library, which has since become known known as Mrs. Mitchell (c.1909), and the bronze group Springtime, on Glasgow Green, which has become more familiar as Peter Pan (1949). A statue of a young boy seated on a rock charming two attentive squirrels with his pipe playing, Springtime was originally erected in Kelvingrove Park in the Sculpture in the Open-Air exhibition in 1949, and relocated soon afterwards to the McPhun's Park section of Glasgow Green as a gift to the city from ex-Lord Provost Dr. James Welsh. In 1975, after having been attacked by vandals, the boy was removed from its pedestal for safekeeping to the Winter Gardens of the People's Palace and, in January 2006, the sculpture and pedestal were reunited when they were once again relocated to a new site outside the building. Clapperton also executed public work abroad, including a war memorial in New Zealand, sculpture in Canada and a fountain in California. His last important commission was for the 49th West Riding Reconnaissance Memorial in Wakefield Cathedral (1947). He exhibited at the RGIFA , 1915-51, and was elected an ARBS, 1923, and FRBS, 1938. He retired from public work in the 1940s, and died at Upper Beeding, Sussex.